With each passing day there are some very traditional and rare recipes which are loosing their sheen and I am sad to think that next generation will be clueless about age old recipes. 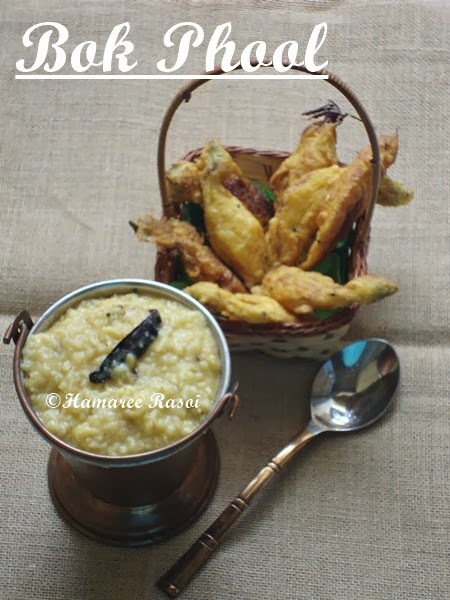 One such hardly heard recipe is 'Bok Phool Bhaja'. During a very short period between receding summer and upcoming winter grows a flower typically called as Bok Phool by Bengalis (Scientific name: Sesbania Grandiflora Leguminosae). The literal meaning of it is that 'bok' means crane, which is white in color and 'phool' means flower. Both by it's color and it's long shape it slightly does resembles like a crane. In the same line even Kumro phool (Pumpkin flower fritters) is also very popular. During my last visit to Kolkata just before my departure I saw a man sitting on a road side selling these in separate plastics worth Rupees 12/-. Carried it with me in flight and enjoyed these fritters sitting in Chennai ! Remove the filament of flower and dip the flower into saline water for 10 minutes. This is done to disinfect it from any germ inside the petals. The blossoms are very delicate so do handle with care ! 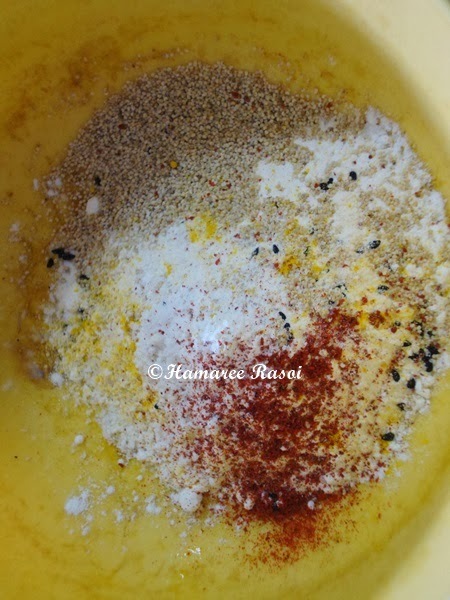 In a bowl mix cornflour, gram flour, poppy seeds, soda, turmeric and salt. Add 1/4 chilled water and make homogeneous batter. Heat oil in a deep frying pan and dip blossoms in the gram flour batter. Deep fry for couple of minutes on low flame until light golden. 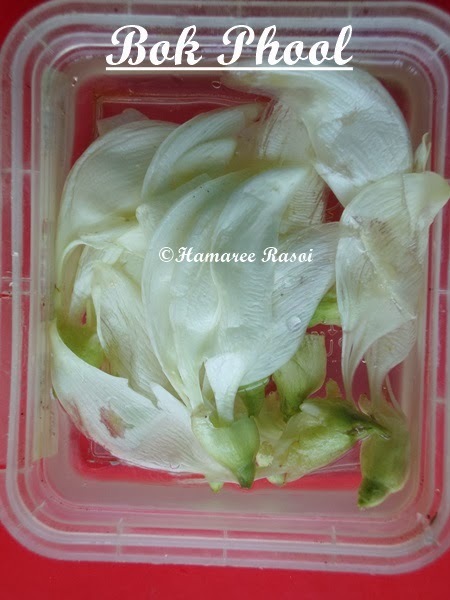 Remove with a slotted spoon and place the fried blossoms on tissue paper to soak extra oil. 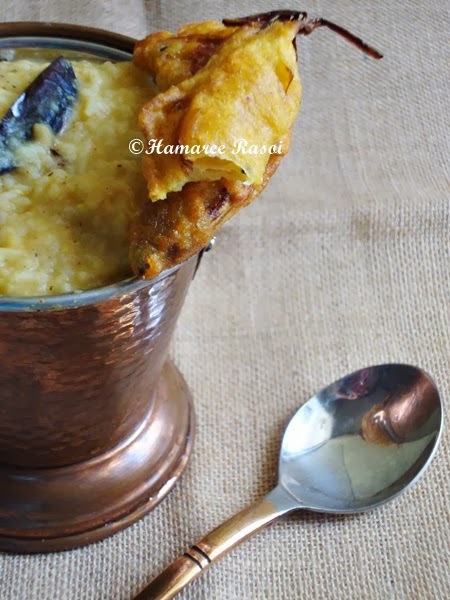 Serve immediately with steamed rice-dal combination. We had this with Kichdi ! My Oriya neighbor used to give to me pumpkin flower bhajjis, i can imagine the taste of this bajjias. Lovely delicious bajjias looks crisp and delicious. The flower looks familiar, but am not sure what it is! :) Nice fritters! 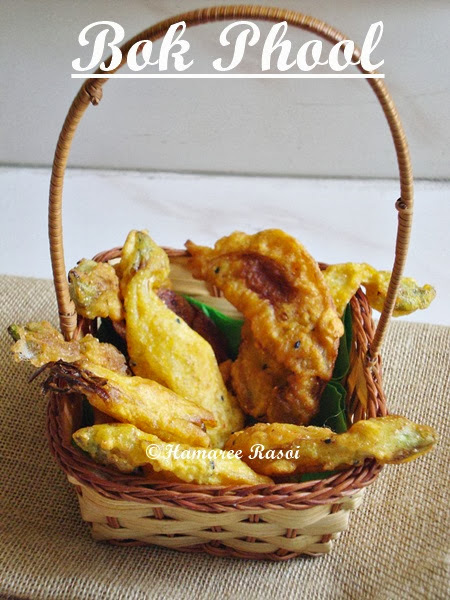 I have something like this with zucchini flower long back, they looks very tempting. Blossom fritters!would love to try that some day. Delicious wish I can taste test some. wow.. never heard abt such a dish n a flower can be eaten..
Have not heard or seen this flower before. Looks delicious fried into frittters! Crunchy and yummy bok ful bhaja. Dekhei jibe jol ese gelo eta amar khub priyo bari gelei khai. Beautiful presentation, Deepa. Cant tell you how much I adore these pretty flowers. Even in kolkata it is hard to get. My favouirte pick is a road side seller at Rashbehari crossing, and like you said, whenever i go tot Kolkata, got one huge bunch of these. so right about such recipes losing its sheen. btw the bok phool bora looks so crucnhy, wish I could have them right now ! New to me, It looks fabulous!